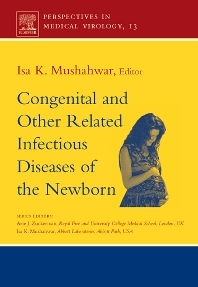 This book is directed toward the molecular composition, pathogenesis, diagnosis, treatment and control of congenital and other related diseases of the newborn that are caused by a variety of viruses. These viruses comprise several families that include Herpesviridae (HSV-1, HSV-2, HSV-6, HSV-7, CMV and varcilla-zoster); Parvoviridae (parvovirus B19); Lentiviridae (HIV); Hepadnaviridae (HBV); Flaviviridae (HCV); and Togaviridae (RV). Leading researchers in childhood diseases and virology from Brazil, Germany, Ireland, Italy, Japan, Spain, and the United States of America report on the up-to-date advances in the molecular virology, immunology, biochemistry, pathology, diagnosis, prevalence and treatment of selected congenital and other related diseases of the newborn.